In the last four months of 2014, an alarming number of U.S. Iraq war resisters in Canada received negative decisions in their immigration cases. Several of them have received, or are about to receive, removal orders from Canada. This is despite the fact that a majority of Canadians support their stance against the illegal and immoral war, and despite Parliament having twice voted to let US war resisters stay. The strong response of Canadians is what has kept U.S. war resisters in Canada – and out of U.S. military prison – for the past ten years. 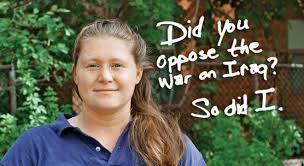 Once again, US war resisters need their supporters to take action. 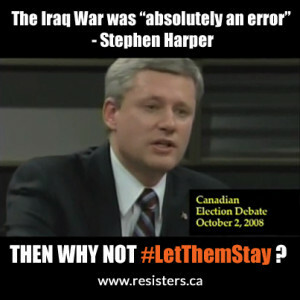 The War Resisters Support Campaign is calling on Canadians to speak out against this attempt by the Harper government to remove remaining U.S. war resisters from Canada. During the pan-Canadian week of Action, “Let Them Stay Week” from January 25 to 31, 2015, let federal Minister of Immigration Chris Alexander know that you support a provision for US war resisters to stay in Canada, and that you oppose any attempt to deport them. 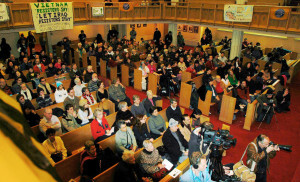 The Canadian government has intervened directly into individual war resister cases through the unfair Operational Bulletin 202 which targets US conscientious objectors, and through blanket statements by former Immigration Minister Jason Kenney which undermined any possibility of a fair and impartial treatment of individual cases. Sunday Jan 25 – Profile Picture Day: Change your profile picture on Facebook in support of US war resisters, for the duration of Let Them Stay Week. Tuesday Jan 27 – Email/phone Blitz: Call or email Minister of Immigration Chris Alexander (cc to party leaders, immigration critics, and your MP) – click here to send your email or write your own email and send it to the Minister. As new developments continue in the cases of U.S. Iraq War resisters, some of the resisters have written statements about what they are facing and why they still need support from Canadians. Please read their statements and then take a moment to send a letter to Chris Alexander, Ministers of Citizenship and Immigration, and Steven Blaney, Minister of Public Safety. They have the ability to stop the injustice that is being done to these conscientious objectors and allow them to stay in Canada. If you haven’t done so yet, please consider making a donation to support the ongoing needs of resisters at http://gofundme.com/letthemstay as funds are urgently needed. Over the past four weeks an alarming number of U.S. Iraq war resisters in Canada have been notified that decisions are imminent in their cases. One resister has received a deportation date. Others are awaiting removal decisions. The War Resisters Support Campaign is deeply concerned that this is the beginning of an attempt by the Harper government to remove remaining U.S. war resisters from Canada. We are calling on supporters once again to take action. The strong response of Canadians is what has kept U.S. war resisters in Canada for the past ten years. To find the contact info for your MP, go to http://www.parl.gc.ca/SenatorsMembers.aspx?Language=E and enter your postal code under “Find a Member of Parliament”. And please share this information widely. Thank you. Let Them Stay Week 2014 – Stop the deportations! This month marks the 10th anniversary of the arrival in Canada of Jeremy Hinzman, the first Iraq War resister to seek asylum here after refusing to participate in an illegal and immoral war. Yet 10 years on, Jeremy and his family, and many other U.S. war resisters, are still living in limbo – not certain if they will be forced to return to the U.S., where they face harsh punishment for their courageous decision. From January 12 to 19th, join Canadians across the country in Let Them Stay Week 2014, to send a message that U.S. war resisters are welcome in Canada, and that the Canadian government must stop the deportations and enact a provision to let them stay. Sunday Jan 12 – Tweet or post your support for U.S. war resisters on Facebook. Monday Jan 13 – Write a letter to the editor of your local paper. For ideas, see sample letters. Tuesday Jan 14 – Call or email the Minister of Citizenship and Immigration, Chris Alexander and ask him to ensure that no more U.S. war resisters are forced out of Canada for their opposition to an illegal and immoral war, and to enact a provision to let them stay in Canada. Wednesday Jan 15 – Write a letter to the Minister and to your MP in support of U.S. war resisters. In Toronto, join a letter-writing event at 7 p.m. at the Steelworkers Hall, 25 Cecil Street (near College and Beverly). Featuring a preview of the upcoming film Peace has no Borders and updates from resisters Joshua Key and Dean Walcott. Friday Jan 17 – MP and Community Outreach Day – Meet with your MP, or call their office to request a meeting. (For a lobbying guide to help organize your visit to your MP, email wrsctoronto@gmail.com). Circulate this petition among your friends and family, at work or at school. 1. Display a sign in your window in support of war resisters. War resister Kimberly Rivera was released from prison on December 12, 2013. Kim was sentenced to 14 months in prison, and served 10 months, for her refusal to participate in the US’s invasion and occupation of Iraq. Kim came to Canada seeking refuge, but was forced out by the Conservative government in September 2012. She was immediately arrested at the border, then court martialed. 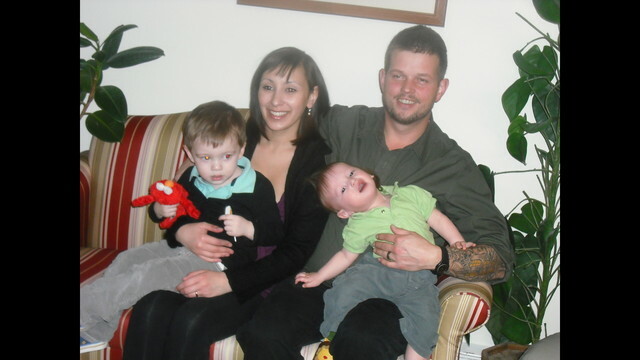 Now Kim will finally be reunited with her young children who she has not seen since her arrest. For background on Kim’s case, see http://resisters.ca/?p=719. And help us continue the fight to ensure that no more U.S. Iraq war are forced out of Canada. Join our email list to find out about events coming up in January as part of Let Them Stay Week 2014. Conscientious objection to war – a fundamental right for all? 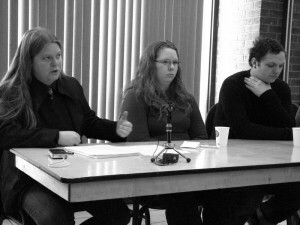 Alyssa Manning, left, represents U.S. War resisters who have sought asylum in Canada. Is conscientious objection to military service a fundamental right for all, or a select few? Come find out with Rachel Brett, human rights representative at the Quaker UN Office in Geneva and Alyssa Manning, lawyer for many of the U.S. war resisters. Free, wheelchair accessible, all welcome! Many people believe that to be a Conscientious Objector (C.O.) you have to be against all war and violence – and, if so, why would you have ever joined the military? Many types of people seek C.O. status all over the world – the issue is as relevant today as during World War II. Some are people of faith, some of no faith, some object to serving in the military and need protection from conscription, and some (like the U.S. War Resisters who are in Canada) develop an objection to war (or a particular war) through the experience of serving in the military. Are all of these cases “legitimate”? Rachel has worked on C.O. issues for decades within the United Nations system and internationally as the human rights representative at the Quaker UN Office Geneva. 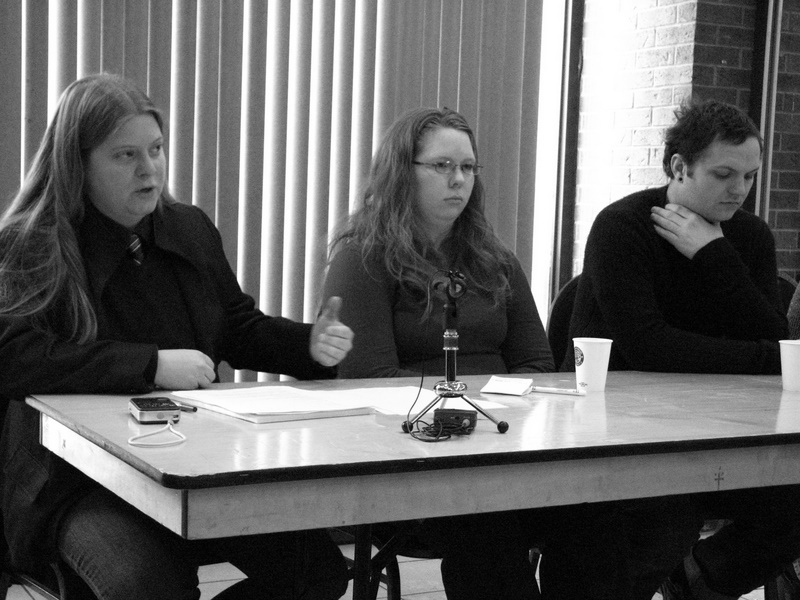 Alyssa has represented US War Resisters in a number of precedent-setting legal cases in Canada. This is a rare opportunity to dialogue with two of the most talented and interesting advocates for conscientious objectors. 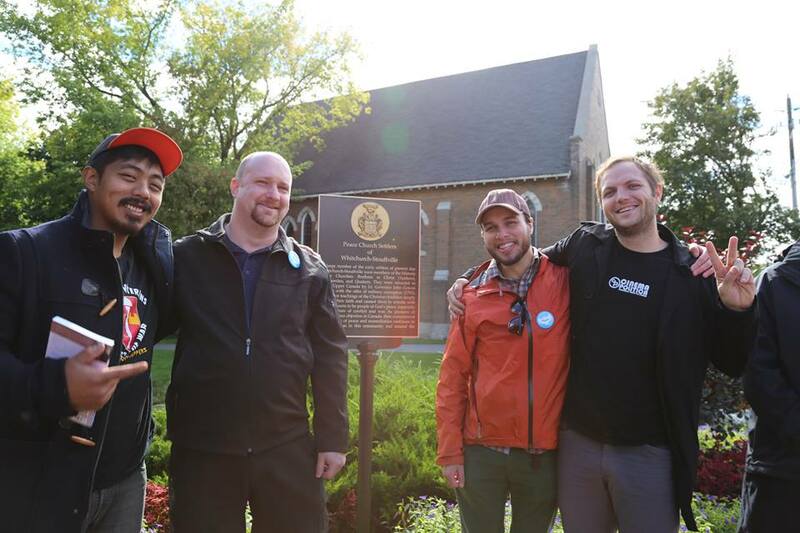 On Sunday September 22, U.S. war resisters attended a ceremony unveiling a plaque which commemorates conscientious object to war in the Whitchurch-Stouffville area. The plaque unveiling coincided with the United Nations’ International Day of Peace held annually on September 21st. Dozens of attendees signed a petition in support of U.S. Iraq war resisters, calling on the government to repeal Operational Bulletin 202. U.S. War resister Joshua Key, his wife Alexina and their three children have been evicted from their home in Saskatchewan. They have been ordered to leave by October 4th. They have lived there for the past 4 years. While the family looks into their legal options regarding this unjust eviction, they also urgently need to raise funds to cover the costs of moving to a new home. Any financial assistance you can provide would be greatly appreciated. 7:00 pm Update and MUSIC!!! Join us for an update on the campaign to win asylum for U.S. War Resisters in Canada. Thomas Radcliffe is a Vietnam War Resister, a singer-songwriter, and an advocate for peace and social justice. And by popular demand, the Manning sisters, Alyssa and Kim, return to the Steel Hall with their great harmonies.